Everyone please mark January 19, 2019 on your calendar. 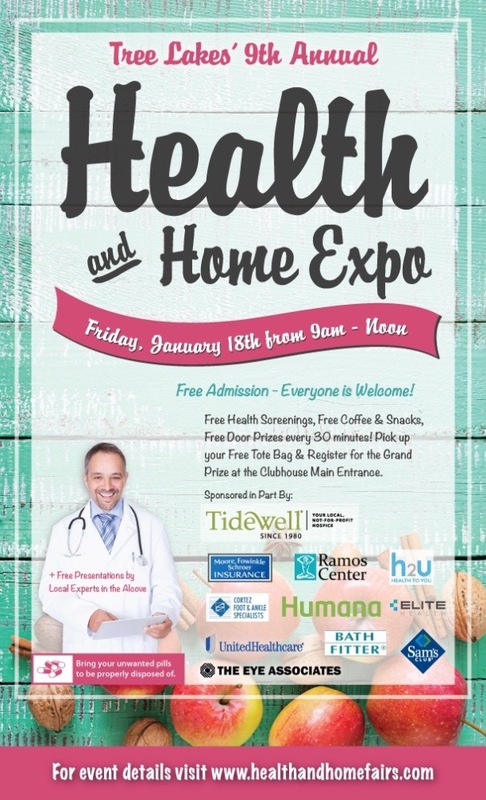 The Annual Health Fair is coming from 9am until noon. There will be door prizes, many vendors, including hearing aid specialists, podiatrists office, EMT’s, Prepresentatives from the Police department, Sams Club, and many more. There will be coffee available and snacks. Come and enjoy.